Roberto Duran, Julio Cesar Chavez and Oscar De La Hoya are considered to be the most professional Hispanic boxers of all time. Roberto Duran, a four-weight world champion, a versatile boxer is best known for his punching power. His commendable boxing career from 1968 to 2001 has brought him 119 fights, 103 wins, and 70 knockouts. Another boxer to rule the boxing world is Julio Cesar Chavez. His devastating punches, defenses, and body attacks made him become one of the greatest boxers of all time. 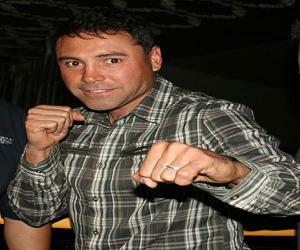 Oscar De La Hoya nicknamed “The Golden Boy” is a gold medalist in the lightweight division. He won ten world titles in six different weight classes during his reign from 1992 to 2008. Other Hispanic boxers who have knocked down their opponents include Alan Smithee, Alberto Dávila, Arturo Frias, and Becky Garcia. Scroll down to know more about the famous Hispanic boxers.